Yes, I am behind again. But I am starting to get on top of things, I think...haha. We knew pretty much everything he taught us but he gave us some good tips so all in all, I think it was helpful. PS. If you want to get your car seat installed correctly (80-85% of car seats are installed/put in incorrectly...one of those percentages) I would say call your hospital or local fire department. We found out from our hospital and most of the fire stations do it if they are trained. I would ask and they should be able to help you. 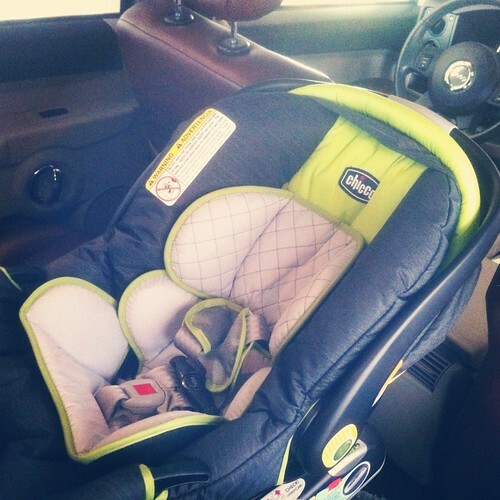 I love this car seat already. 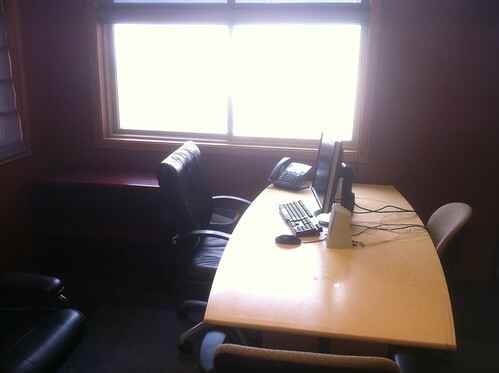 I had my last day of work last Friday. It is weird not working! I am getting so much done though! 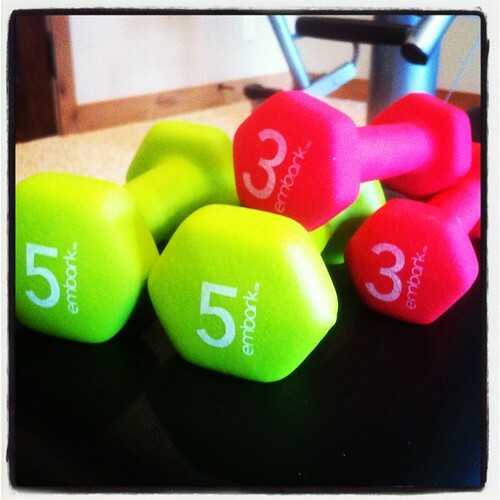 Whenever I workout, I lift these cute little weights. I'd like to get another set (that weighs a little more) but haven't gotten around to it. I've been very good at working out the past few months and it should only get better now that I am not working as I have more time in the day! 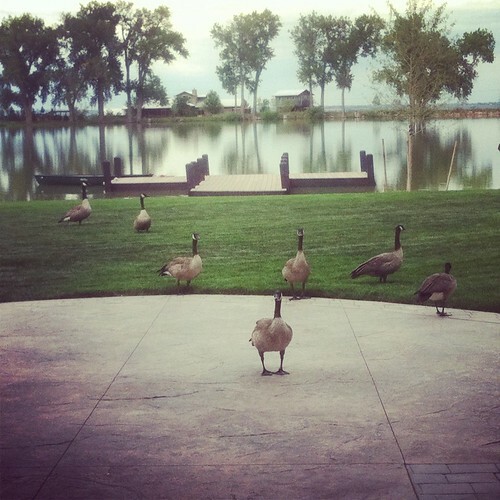 Last week, one day, when I was working out at my parents I realized I had some spectators. but here they are! Our neighborhood group of geese! Kevin loves these geese haha. Yes, that app still exits and it is free. 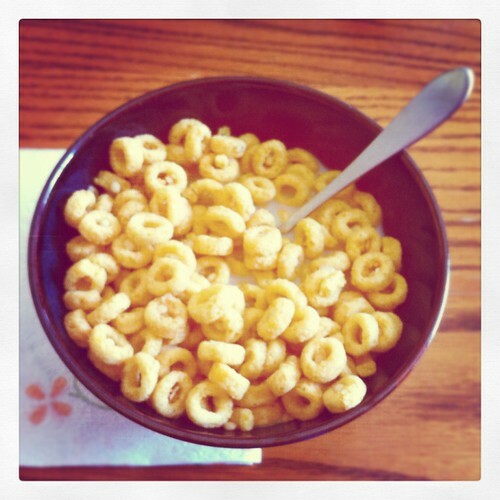 Every morning, I look forward to a bowl of cereal. I am not a morning person but I read my scriptures and eat a bowl everyday and it is my time haha. I just got some Oh's so I had to share. Last night my mom and I went out to dinner...to Panda Express. 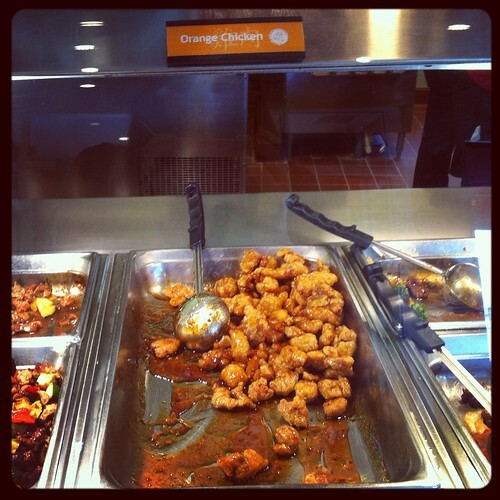 I wanted orange chicken, so it was decided. We then went to Target and shopped around and then I found out she had 2 Babies 'r' Us coupons that expired that day so I made her go there with me and use them haha. I feel like I am turning into one of those extreme couponors and it is getting very obsessive over here. I don't know the last time I've taken a picture and posted it on my blog the same day...so this is good. I read through my mom's pregnancy journal when she was pregnant with me (this afternoon) and it was pretty funny. 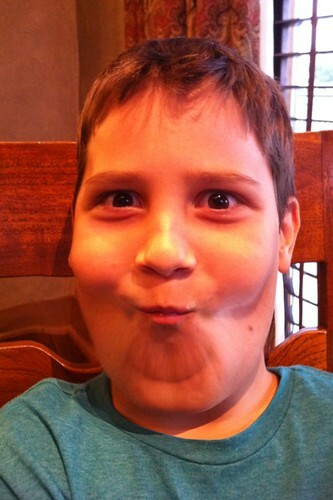 One thing, my aunt JaKie (who was 8 years old at the time) said she would love me even if I was retarded. So that was nice of her. Also, I was almost named Paulina. No offense if that is your name but I find that hilarious. 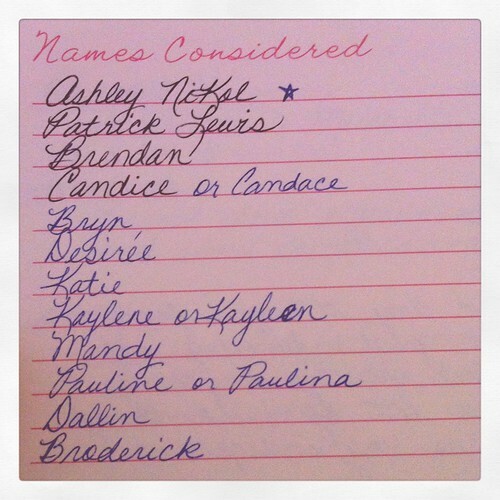 I'm glad they chose Ashley haha. 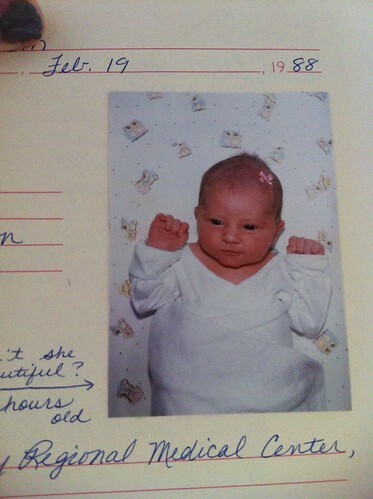 Also, in her journal was a picture of me 4.5 hours old. I wonder what Baby R will look like!!! I am and have been expecting to have little brunette colored hair babies...for my whole life. Actually I don't like super random posts. I like them to be categorized but when you get behind you do what you have to do. 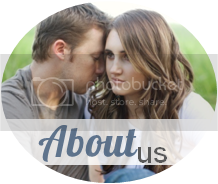 & as of now, I'm planning on blogging tomorrow so hold me to it! I love how "back in the day" aka when we were born ('88 represent!) ultra sounds weren't a big deal. I was always Rebecca...my Dad just knew. Good thing he was right! :) P.S. My brother is named Dallin....good name choice to your Mom! Love the peek into your mom's pregnancy journal! I love the carseat too. Oh wow how awesome your mom kept a journal...and we thought about the keyfit too...looks good!